Just need your name + email, and it'll be in your inbox in a mo. Use this easy super-handy checklist to identify and fix your energy leaks! Ready to learn the truth about the biggest and worst myth in health and fitness? JOIN US ON THURSDAY, JANUARY 18 @ 5 p.m.
We love privacy, loathe spam, and will never share your data. Ever. I'm Robyn Landis. I can help you get lean, energized and healthy for good—AND love doing it. YOU WON'T JUST DO IT DIFFERENTLY. YOU'LL SEE IT DIFFERENTLY. If you're tired, out of shape, sick of "diets" and "plans," and confused or overwhelmed by the "health-info avalanche"... and most of all, think you struggle with "discipline," "willpower" or "motivation"...I can show you a much better way to get the body, energy, and life you truly want. I'm a wholistic health coach, fitness trainer, fitness nutrition specialist, motivation master, and "joyful mind-body transformer." I'm ACE-certified, with nearly 30 years of experience and a unique signature system that will help you make the choices that will actually fuel what really matters most to you. Get the body and energy that's fit for your purpose—and be deeply happy getting exceptionally healthy—by treating yourself like you matter. No fads, extremes, hype or random one-off magic bullets. No guilt. This is conscious, smart self-love and self-respect... joyfully expressed with food, movement, rest and other self-care. IT'S NOT JUST A PART OF LIFE. IT IS YOUR LIFE. And if you are determined to really handle it, once and for all...so you can stop wasting your energy, and start building energy you can spend on what matters... consider igniting your own untapped power with the support of an expert, transformative guide. Let me be your sherpa on a journey beyond what you thought was possible...a path to BEING the person who joyfully LIVES a vibrantly healthy life. The one that naturally creates the body and energy that serves you. We can do something even more important than changing your body. First, we can change your mind. For real. For good. In a way almost no one even believes is possible when it comes to healthy living...but it IS. My clients are proof. My unique, signature, super-motivating process "flips the inspiration switch"—so healthy habits become not just a obligatory to-do list but WHO YOU ARE. It powerfully cuts through myths, resistance, and cultural conditioning that lead you astray. You will become discerning, powerfully informed, and deeply inspired to live well. Then you'll learn to naturally fuel your body and nourish your life—with ease, clarity, and a sense of choice—for the resilience to fulfill your passions. Very simply, you'll know just what to do, AND you'll gladly do it. Imagine that! I have loads of references from happy clients. And I offer a complimentary consultation if you want to explore what it would take to be deeply happy getting exceptionally healthy...with more energy, less fat, and more fun. For good. Want to love yourself, give to yourself, and experience the pleasure and power of your healthiest body and life? I'm confident that you'll find my approach a breath of fresh air—and that it will help you ACE your healthy life where other approaches have failed. Because your choices won't just be "habits" any more. They'll be HOW YOU LIVE. WHO YOU ARE. A deeply connected reflection and expression of your dearest wishes and highest vision. Let me synthesize the most proven essentials and latest research for you—and ignite YOUR powerful inspiration to use them. With compassion and common sense, I will help you weed out distractions, deflate myths and dissolve objections. In their place, you'll find juicy new energy for healthy choices...that lead to the body and LIFE you want. Take the hand of an experienced, no-nonsense, and compassionate guide. With two bestselling books and a third on the way, numerous nationally-published articles, media appearances, and nearly three energetic decades of walking my own talk, I have helped hundreds of thousands of people on this path...to joyful nourishment of their best bodies and lives. I can help you, too. Forget the boring, confusing, and grim story that media and health authorities tell about healthy choices. Let me show you how to use YOUR power and freedom to live better, and mature more beautifully, than you ever dreamed possible. And absolutely have a blast doing it! Check out the online course, or contact me using the form below. Or call 520.314.0994. I offer no-cost 30-minute "Fuel Your Best Body and Life" discovery sessions. Ready to get STRONG, LEAN, AND ENERGIZED—and LOVE it? Call 520.314.0994, or write to me below. The information + inspiration to prioritize and GIFT yourself the best care. LIVE that life, LOVE that life, BE that person. "This course changed my energy and my life. I didn’t really know what eating well meant. I was starving myself and had no idea. I no longer assume that as I get older, I must get fatter. I realize that I love my body and I love to take care of it. Also, eating before running altered my training—I couldn’t believe the difference." “It’s taken all the pieces that were floating out there and put them together. I’m an educated person, I have all kind of degrees—but I had no idea how my body works. I’d go to step aerobics without eating and think I was tired and nauseous from the heat." “Years and years have passed since I read your books. Over all that time, I’ve bought them and re-bought them and kept giving my copies away to friends more times than I can count. Nearly two decades have passed, and nutritional philosophies have changed so many times, but I always keep coming back to your wisdom all these years later. There’s never been a message quite like yours... It’s clear that you walk the walk, and that you come from a place of true contentment and peace. You’ve never pushed strict rules to follow or guidelines to adhere to. There were no expectations of perfection. While all the information out there really revolves around the 'shoulds' and 'shouldn’ts'… yours is a message that is so much bigger than that: about fueling our precious bodies with delicious, real food. With love and care. Living our lives in alignment with what makes us feel our best, inside and out. What a gift.."
over a year, due to an injury. Now I'm moving every day and eating the healthiest meals since I left my mother's home (a long time ago!). Robyn really knows her stuff. She literally wrote the book on Herbal Defense and she’s just as knowledgeable in all the other areas of nourishment she teaches. I love that she brings up-to- date research to her training, but breaks it all down so that it’s easy to understand and absorb. She gives the least amount of information needed to get the most in results, and that’s exactly what I want in a course and a teacher. I continue to reap the rewards of her course even after it’s over, and I know I’ll continue to draw upon it for information and inspiration. 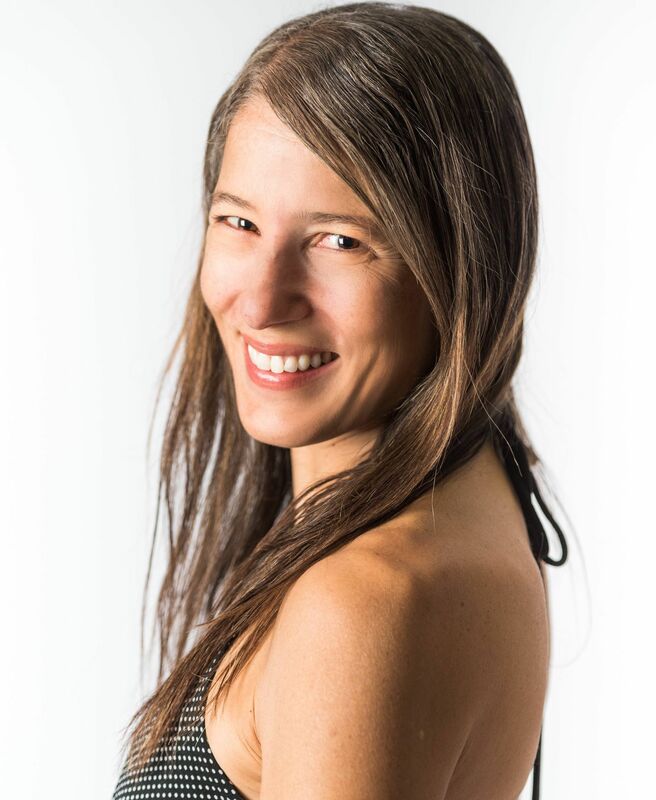 I highly recommend Robyn and her coaching to anyone who is ready to nourishthemselves in a way that is more healthy, effortless, and joyful." "Robyn is a dedicated, knowledgeable practitioner of health and well-being who enthusiastically helps others on their journey towards well-being. Not only is she technically knowledgeable, she has also deeply thought through the issues and blocks that individuals have about their long-term self-care. As a result, she is able to help people get past those blocks with a range of strategies which gently but clearly lead towards a change in attitude and behaviour — and consequently, a change in well-being. 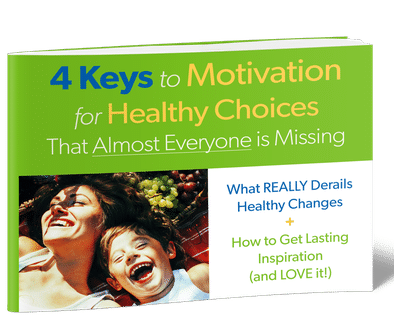 She helped me see some of the un-useful beliefs that I had about nutrition and helped me to re-align my goals in order to make them more likely for me to achieve. Since working with her my eating has improved, my exercise has increased and my waistline has diminished!" "As a naturopathic doctor I was coming up against a wall when it came to making diet/exercise suggestions for my patients because I myself struggled with these things. The typical medical approach is to make diet and exercise seem like something you HAVE to do, totally lacking in passion or connection to the importance of taking care of oneself. After reading up about Robyn and her philosophies on her website it all came together: without having a strong sense of WHY you are nourishing your body, there will never be a lasting desire to maintain or even begin these healthy behaviors.Her approach really digs in to who you are, what makes you tick, where your hang-ups are, and then provides sensible and easily digestible (no pun intended!) solutions to help you not just reach your goals but then maintain them. The online Facebook group is a huge bonus, as Robyn is always happy to answer questions or offer encouragement in between sessions. It’s basically non-stop coaching. I can’t recommend Robyn highly enough, and am so happy to have completed this course in order to better nourish myself and my patient population!" 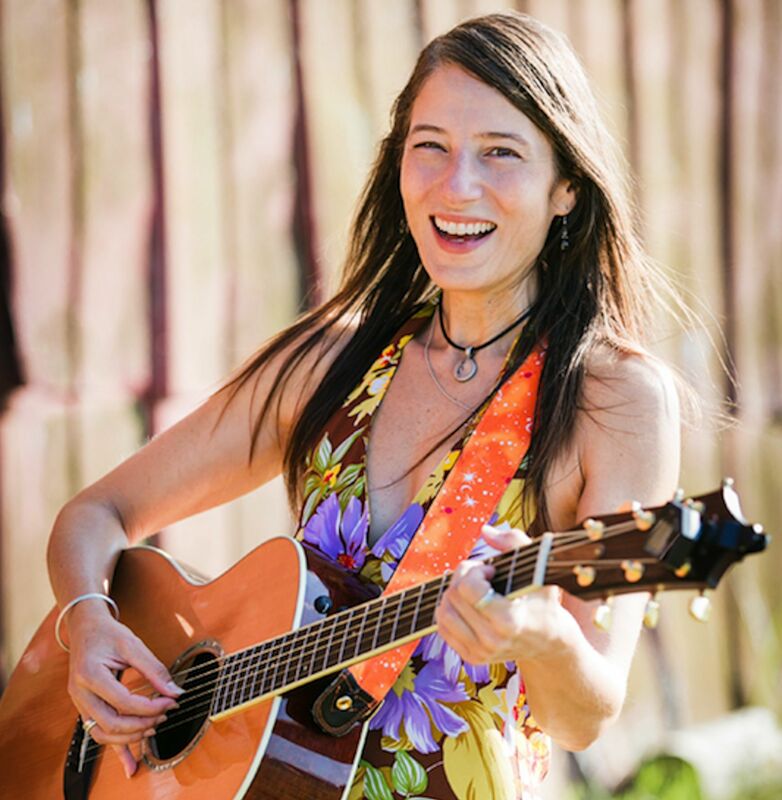 “Robyn is an excellent teacher, supporter and coach on the path to radical self-care. She has a refreshingly wholistic approach to well-being that is supported by her depth of knowledge and experience in a wide range of fields. She is accessible, clear, and motivating in all aspects of living a joyously healthy life. And she is a delight to work with! Her support and concern is sincere – a wonderful improvement over the hundreds of ‘health care gurus’ that have popped up in our culture, who profit from the fear and failure of others. Robyn offers suggestions that are flexible and achievable, tailorable to each individual. And in a culture obsessed with isolated (and often meaningless) indicators like weight and 'bar bell strength' her focus is correctly placed on overall well-being. I now think of my self as a ‘health athlete.' I think in terms of supporting myself, not ‘doing what I should.' I have become aware of my choices, and I am excited to make healthy choices, and I enjoy movement and exercise in a renewed way. I am grateful for all of those changes!"